Rock lore tells us that “Stairway to Heaven” started out simply in 1970’s Wales with a few notes recorded on cassette by Jimmy Page and Robert Plant for the Led Zeppelin album, IV. Today, it’s being discussed in Federal Court. Trial is currently underway for a lawsuit alleging members of Led Zeppelin plagiarized a key element of the best-selling song “Stairway to Heaven” from the band, Spirit. The estate of Randy Wolfe, the late guitarist of the band Spirit, initially filed the federal lawsuit. Similarities between the “Stairway” intro and Spirit’s “Taurus” have long been recognized, but the riff in question can be traced even farther back. Provided below is a link to “Stairway to Heaven”, “Taurus”, and Guitarist Davy Graham playing “Cry Me A River”, as captured in a 1959 BBC documentary directed by Ken Russell on the rise in popularity of the guitar in Britain. You tell us, are they similar? 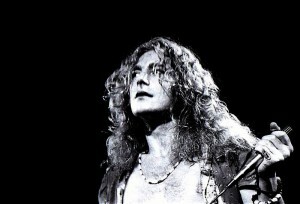 The lawsuit was filed in a Philadelphia court back in 2014, the same year, Led Zeppelin released a remastered version of “Stairway to Heaven.” A year later, a change of venue was granted and the suit was moved to California, thru luck or skill — to the same court that recently ruled in favor of the estate of Marvin Gaye in its copyright infringement lawsuit over the 2013 hit “Blurred Lines,” by Pharrell Williams and Robin Thicke. UPDATE: On June 23, 2016, following a trial, an eight-member jury unanimously found that the similarities between the songs did not amount to copyright infringement. The decision came one year after a jury (in a lawsuit filed in the Central District of California before Judge John A. Kronstadt) ruled that Robin Thicke’s “Blurred Lines” (produced by Pharrell Williams) infringed Marvin Gaye’s “Got to Give It Up.” This verdict, of course, led to an appeal from the Estate of Randy Wolfe. Please take notice that Plaintiff Michael Skidmore, Trustee for the Randy Craig Wolfe Trust, hereby appeals to the United States Court of Appeals for the Ninth Circuit from the final judgment entered on June 23, 2016, as well as any and all interlocutory rulings, decisions, and orders that gave rise to the judgment and are merged therein. I have an extensive collective of major Rock and Roll Starts n concert. I worked for magazines, newspapers, and Bands. I would like to sell the pics. It is my personal collection and they have only been seen one or 2 of the shots per article. I have a list I need to find, but on this List are Robert Plant, Aerosmith, Tom Petty etc. I goes on and cover 10 years. I am ill and need the money. I own the copyrights, Have photo passes, backstage passes all access passes and my photo with most of them Any ideas?